Second-rate criminals are being targeted by a mysterious mass murderer called the Scourge! 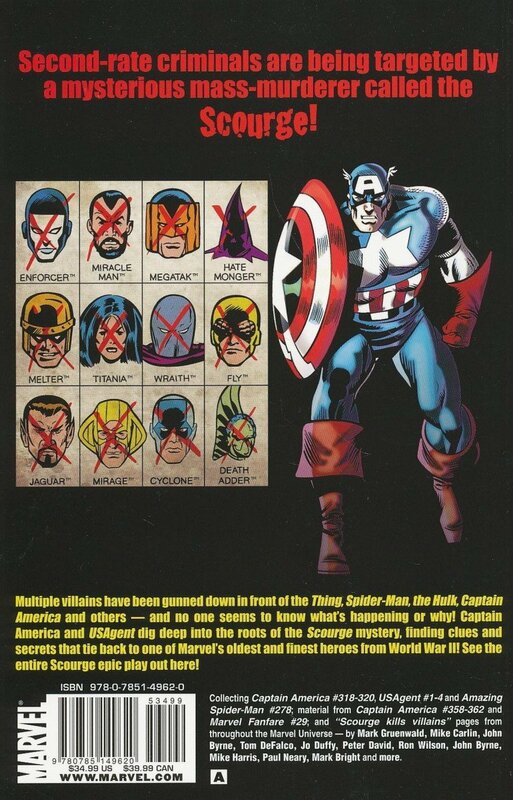 Multiple villains have been gunned down in front of the Thing, Spider-Man, the Hulk, Captain America and others, and no one seems to know what's happening or why! 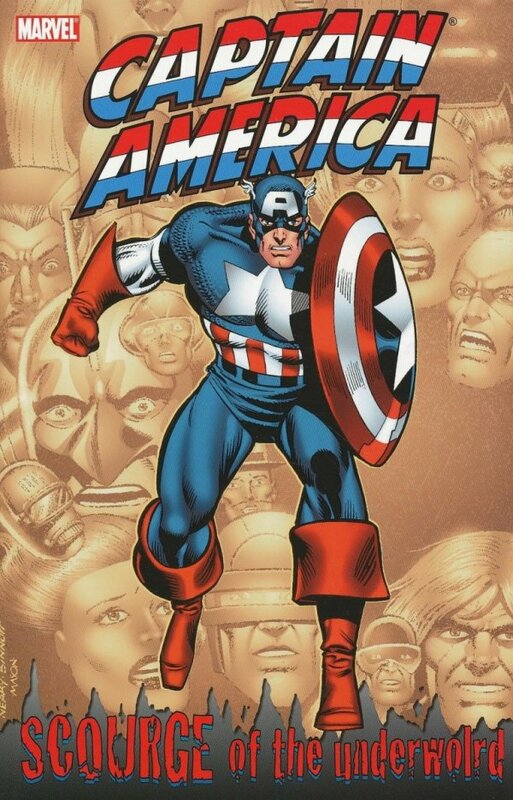 Captain America and USAgent dig deep into the roots of the Scourge mystery, finding clues and secrets that tie back to one of Marvel's oldest and finest heroes from World War II! See the entire Scourge epic play out here! Collecting MARVEL FANFARE #29, AMAZING SPIDER-MAN #278, USAGENT #1-4; and material from CAPTAIN AMERICA #318-320 and #358-362 - plus the "Scourge kills?" pages from more than a dozen other issues!